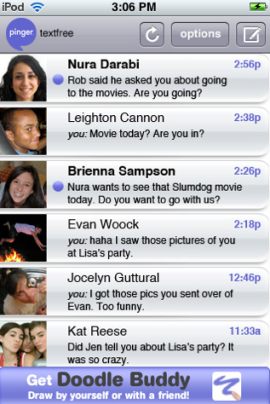 Home TextFree Unlimited: Free For A Limited Time! TextFree Unlimited: Free For A Limited Time! Textfree, the Infamous free SMS app for the iPhone, iPad, and iPod Touch, has now gone completely free for a limited time! Users are able to download this app and even create their own phone number, which can easily be seen from other cellular phones. This app is ad-supported, but you may still buy the app if you wish to remove the ads. Go ahead and snag the app with the link below!